A statutory agent is a term utilized in U.S. business law. The statutory agent is an individual or legal entity that is assigned to receive service of process (a summons and a petition or complaint) when a business enterprise is sued or otherwise named as a party in a legal action. Designating a statutory agent is mandatory for certain types of business enterprises. In many instances a business is organized in the form of a corporation, partnership or limited liability company. Consequently, these businesses have a legal existence in and of themselves and separate from any individual. Day in and day out, businesses of all types end up facing all types of lawsuits. 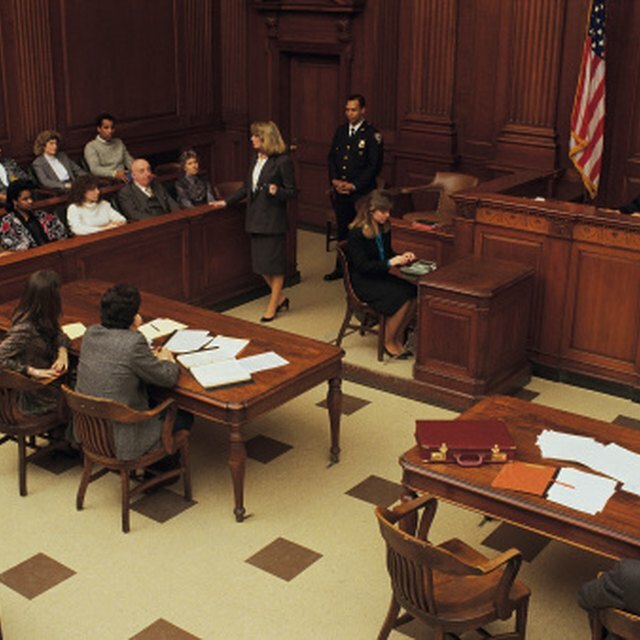 In order for a court to have jurisdiction over an individual or business in a lawsuit, that individual or business must be served with process. This means that the business must be provided with a copy of the petition or complaint associated with the lawsuit as well as a summons setting forth what steps the enterprise must take in order to defend its interests in the litigation. When a business is organized, or when a business elects to do business in a particular state, that firm or company must name a registered agent. The registered agent is the person who is designated to receive on behalf of the business service of process in the event a lawsuit is initiated against that business. Upon serving the registered agent, the court has jurisdiction over the business for the purposes of the lawsuit. What Are the Duties of a Registered Agent for a Corporation? How Do You Become a U.S. Registered Agent? There are a variety of types of statutory agents authorized to accept service of process in each of the different states in the U.S. For example, the business enterprise itself can be designated as the statutory agent. In other words, in the legal document creating the business entity in the first instance (for example, the articles of incorporation) the business will be designated as the statutory agent. In a similar vein, a specific officer of a business can be the statutory agent. In this situation, the statutory agent will be designated by her name and not simply by the title of the company officer. Oftentimes a business will designate its attorney as the agent for service of process. In many cases, the attorney who drafts the documents establishing the business will become the statutory agent. Finally, there are what can best be described as registered or statutory agent services. These are firms whose sole purpose is to serve as the statutory agent for their clients. In order to ensure uniformity between the different states in regard to laws associated with statutory agents, the National Conference of Commissions on Uniform State Laws together with the American Bar Association Business Law Section and the International Association of Commercial Administrators have drafted the Model Registered Agents Act (MoRAA). The ultimate goal of the Act is to make filing and other requirements for a statutory agent the same in each state. The language of the Act was adopted in 2006 and most states have yet to consider enacting its provisions. As of 2009, eight states have enacted the Model Act: Idaho, Montana, North Dakota, South Dakota, Utah, Arkansas, Maine and Nevada. In most states, the statutory agent registration is done in the Office of the Secretary of State. Typically, a Secretary of State will maintain a division dedicated specifically to these types of registrations and filings. A business must register a statutory agent in the state in which the business was established (incorporated, if a corporation). Additionally, the business must make a similar filing in each and every state in which it is doing business. The failure of a business to designate a registered agent can result in a number of different types of penalties. For example, a business can be fined by the state. Additionally, in many states a business will lose its ability to do business until such a registration of a statutory agent takes place. If a business fails to designate a registered agent and ends up being sued, it is possible that such a business may not know of the litigation. A court may take default judgment against such a business. A judge will not be very likely to set aside the judgment if the reason the business was not served in the first instance was because of its own failure to designated a registered agent.